BEING A CREATURE OF HABIT (well, sort of) (um, not that often, really, but occasionally), I turn first to tried and true Merriam-Webster when looking up definitions for new (and sometimes old) words and phrases. It’s still one of the best online dictionary resources, even if I do find more appropriate definitions for my needs in other dictionaries. Such is the case here regarding the term “a fishing expedition.” And I trust we all know what a nasty dude is. They would go from pocket to pocket until they found the one where I had my money. That did not fit my needs. Closer to what I was looking for, but it still sounded too lawyerly. We also use the terms in other ways . 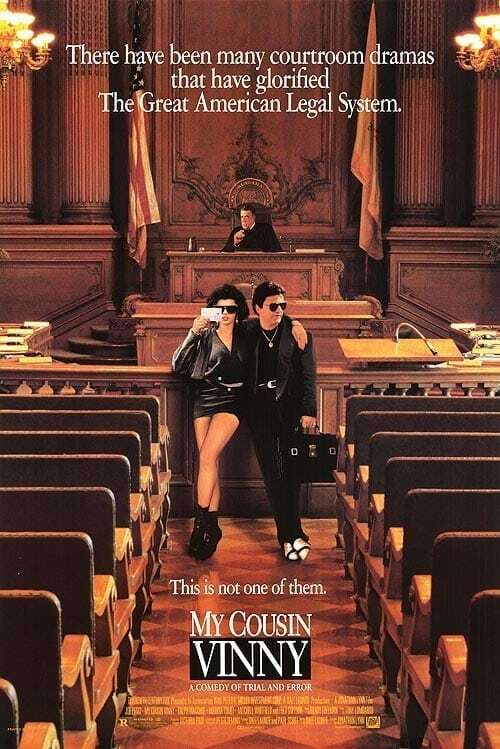 . .
My Cousin Vinnie was a vehicle for Joe Pesci, who was on his way to stardom following his riveting performance in several movies, such as in Goodfellas (1990) and JFK (1991). But the movie was stolen by Maria Tomei as Vinnie’s girlfriend, for which she won the Academy Award for Best Supporting Actress. In the movie My Cousin Vinnie, New Yorker Ralph Macchio and friend are driving through Alabama. They make a food stop at a convenience store and hit the road. Shortly after they leave, another car—almost identical to theirs—pulls into the parking lot where they were and a couple of young men enter the store, rob it, and kill the clerk. Macchio then does a very East Coast thing—he answers the question by essentially repeating the question. The inflection in his voice—the way Macchio phrases the words—should tell the cop that the suspect questions the accuracy of the cop’s question. Anybody from Baltimore to Boston would understand that Macchio’s redundancy was not a verification of the officer’s statement, but that it questions what he is hearing! Except that it is regional. And the Alabama police officer does not share the cultural understanding. Macchio is still clueless. He does the same East Coast thing: he repeats the cop’s question with that inflection. The officer doesn’t know that the suspect doesn’t know what the officer is talking about. If he did—if he did not merely assume the suspect’s guilt—he might have heard it differently. But that would have changed the plot of the movie. Instead, the Alabama patrolman now has the suspect confessing to the murder. Without coercion or even lengthy questioning. For the Alabama police, it’s now an open-and-shut case. The prosecution and conviction of this murderer will be a slam-dunk. You have to see the movie to find out what happens. From here, the rest of this post is anecdotal. And it’s all true . . .
John Peipon on a fishing expedition off the coast of Martha’s Vineyard in 1984. He had just seen Daryl Hannah as a mermaid in the movie Splash and was intent on catching one for himself. Unfortunately, she was the aquatic version of Maggie Thatcher and John discreetly (and wisely) threw her back in. Vispi’s was a paradox among bars in my part of Northeastern Pennsylvania in the 1960s and ’70s. During the daytime hours, it was the closest thing to a gay bar that the Valley had. Or at least, the closest thing to a gay bar that straight guys like me would know about. But once the happy hours were over—and back then, happy hour happened in the late afternoon for pre-dinner imbibing—a change took place. By 9:00, Vispi’s was the hottest singles bar in town! On Wednesday and Friday nights, it was often wall-to-wall people. I never understood the appeal: there was no live music, just a jukebox. The drinks were relatively pricey for the area, and the decor was a wee bit on the gay side once you understood what you were looking at. Hell, it wasn’t even that cozy a spot once you did connect with a girl and sat down to talk and get to know one another. Nonetheless, for years Vispi’s was the place for singles to congregate. To add to the place’s allure, it was also one of the area’s busiest after-hours joints. Pennsylvania law required the serving of alcohol end at 2:00 AM, at which time V’s locked the doors and stayed open well into the wee hours. In 1973, I was a full-time bartender, and knowing where to go at 2:30 in the morning to sit back and have someone wait on me was essential to maintaining my sanity. So it was that I discovered Vispi’s. 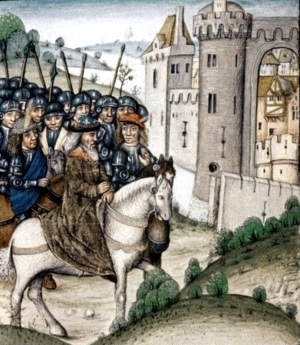 Arthur, his courtiers and knights, and Camelot, as seen by a 14th-century illustrator. Vispi’s Camelot looked nothing like this, of course—but if we added a parking lot it might. Some of the king’s followers look they would have been quite comfortable there for happy hour. In 1974, I was on a first date with a beautiful woman (let’s call her Angie) and we went to a nice Italian restaurant with another couple (who we’ll call Mike and Donna). After dinner, we headed to Vispi’s. It was Saturday so the place wasn’t packed. I was dressed appropriately for a date: reasonably tight black slacks, a midnight blue shirt—top three buttons open to show off a hippyish bamboo necklace with bits of polished anthracite (dig that)—and a gray sports coat. Always a gray sports coat. As I knew the place best, I went looking for a table for four and found one in the back. It was a mess, littered with glasses, napkins, ashtrays, etc. I started pushing some of the crap on the table to one side, making it easier for the waitress to clean up when she arrived. Just as my friends got there, I was approached by three guys I didn’t know. There were two guys noticeably bigger than me, and I was 6’1″ and 185 pounds at the time. But the third guy—this little guy, a really nasty dude!—was the problem. 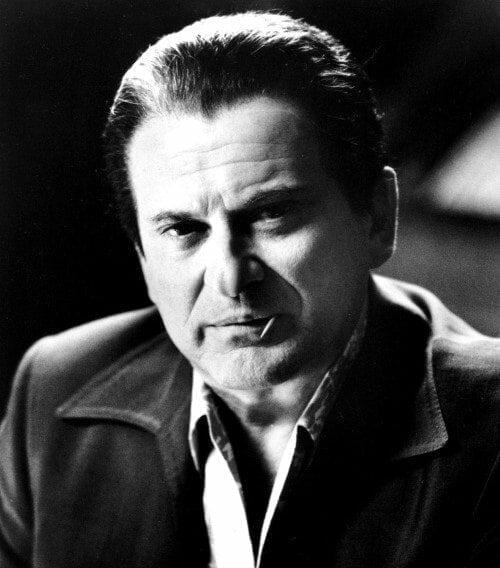 In hindsight, Nasty Little Dude reminds me of Joe Pesci when he is playing a nasty guy, and they don’t come much nastier than Tommy DeVito in Goodfellas (1990). Pesci was so frighteningly good that he won the Academy Award for Best Actor in a Supporting Role. He put it in his left pocket! As Angie arrived, these guys told me that this had been their table, that they had just finished, and been seeing their girls to the door when I arrived. They claimed that they had left some money on the table. These guys were like Alabama cops. “Yeah!” said Nasty Little Dude. There wasn’t any money on the table, and I hadn’t picked up anything, let alone put something in one of my pockets, but the two big guys believed Nasty Little Dude. I was a bartender. I knew that people who’d been drinking often think they leave money on tables and bars when they didn’t. But once they believe that there had been money—their money—and that it was missing, they remain convinced that someone took it. Being under the influence, they rarely mind accusing others of having swiped it. At this point, I believed that Nasty Little Dude believed what he said. I also knew the situation could get ugly. He put it in his right pocket! And I reached around to the left pocket at the back of my slacks—exactly where Nasty Little Dude said I put the twenty—and pulled the lining out. So, being the nice, cooperative wuss that I was, I reached around to the right pocket at the back of my slacks—exactly where Nasty Little Dude said I put the twenty this time—and pulled the lining out. Now that should have been the end of it, right? “It’s in his front pocket!” blurted Nasty Little Dude. Had I been more seasoned, wiser, less a wuss, I would have now interpreted this as a fishing expedition: they would go from pocket to pocket until they found the one where I had my money. Had I been less a wuss, I would have told the three to “F*ck off.” They’d had their shot at my money, and they’d failed. At which point these guys then wanted me to give them my twenty! I no longer believed that Nasty Little Dude believed what he said. I now thought I was being shaken down. The three guys started moving towards me. The three guys turned around and saw three other guys staring at them. And not in a friendly manner. The three guys looked at each other, realized that the odds were now 5-3 against them, and they left. I went over and thanked my rescuers—all of them local bartenders or bouncers—and bought them each a drink. It’s been forty years and my memory isn’t what it used to be. 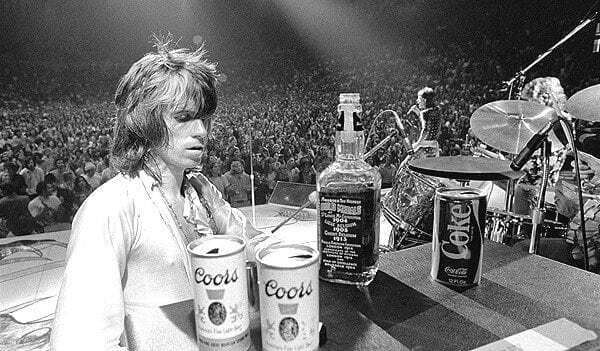 So back in the ’70s, did I drink Jack Daniels because Keith did? Or did Keith drink Jack Daniels because I did? It’s tough getting old. At the bar, I ordered a double Jack Daniels to stop my hands from shaking. And it wasn’t fear now. I was pissed off at myself because I had let some bullies get the best of me! I was pissed off at myself that I reverted to my scared-of-my-shadow former-self. Humiliated, I swallowed the whiskey and went back to Angie. Here’s the weird part: despite acting like a wuss and embarrassing myself by not ending the whole thing after the first pocket, Angie thought I was marvelous! She thought I had handled the whole thing with assurance!! I could have asked her for anything (anything!) and she might have just gone and done it right then and there! 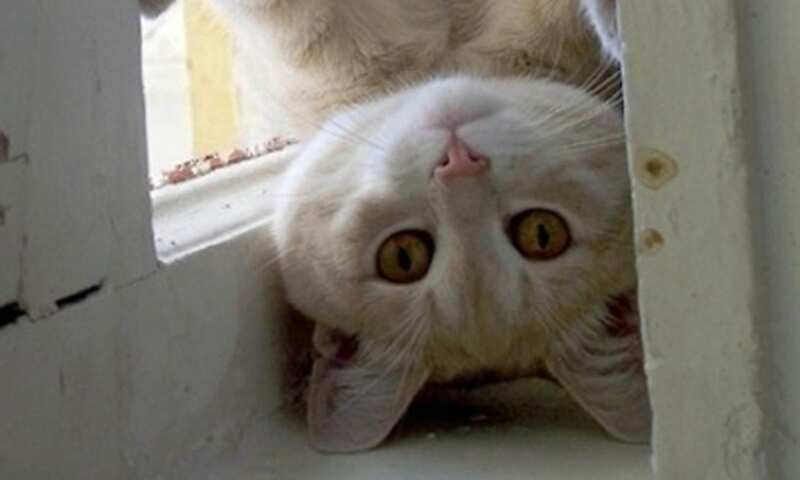 I never found out whether Nasty Little Dude and his buddies were drunk and believed that I had taken their money, or they were bullies who saw me as a target and thought they’d scare some money out of me. If they were bullies, it worked. I never saw Nasty Little Dude again. I never saw Angie again. That’s how much of a wuss I was . . . This seems to confirm the cultural thing: to Google, answering a question with a question is a form of avoidance Or else I need to type better queries into search engines. 2 After the Great Flood of ’72, Joe redecorated the place and rechristened it Vispi’s Camelot Lounge. Its new look practically screaming Gay! Didn’t bother any of the straight singles who flocked there on Wednesday and Friday nights, the traditional singles nights back then, back there. 3 Not that I would know what it’s like to fight my way through a horde of pre-adolescents! neal, in case i forget remind me never to go into a gay bar with you. I have a few Vispis tales , but I don’t write as good as you. Just found this story. I worked therefor a few years up to when they closed. Regular hours and after hours. I could share but it was a long time ago. I thank you for sharing. Joe was the quintessence of gracious hosting—and a pisser once you got to know him a bit. What years did you work there? Next PostNext is “voter fraud” a new political buzzword in the rightwing blogosphere?